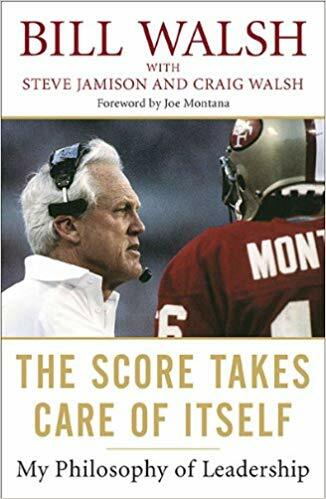 Written in short chapters on different ideas for leadership and success in competitive fields, Walsh’s memoir on leadership is excellent even if you know nothing about football. Even with the greatest amount of talent possible, you can’t guarantee success for a team. But there are things you can do to increase the probability of success, and a great leader intelligently and ruthlessly seeks out solutions to increase that probability. And when you do, the score will take care of itself. People who succeed in highly competitive environments have one thing in common, failure, and the ability to overcome it. Do expect defeat, if you’re surprised about ever getting defeated, you were deluding yourself. Do force yourself to stop looking backward and miring yourself in misery. Do allow yourself appropriate recovery time, but no more. Do tell yourself that you’re going to stand and fight again. Do begin planning for the next serious encounter. The key to performing under pressure is to develop a strong standard of performance and stick to it no matter what. Remove as much decision making as possible within the context of it. Few things offer a greater return on investment than praise, offering credit to someone who stepped up and performed. Keep asking yourself “What do I do if?” in order to make sure you’re as prepared as possible for any eventuality. What could happen tomorrow, next week, or next year that you haven’t planned for, aren’t ready to deal with, or have put in the category of “I’ll worry about that when the time comes”? Planning for the future shouldn’t be postponed until the future arrives. Others will follow you based on the quality of your actions, not the magnitude of your declarations. A leader must be keen and alert to what drives a decision, a plan of action. If it was based on good logic, sound principles, and strong belief, I felt comfortable in being unswerving in moving toward my goal. Any other reason (or reasons) for persisting were examined carefully. Among the most common faulty reasons are (1) trying to prove you are right and (2) trying to prove someone else is wrong. Of course, they amount to about the same thing and often lead to the same place: defeat. Proving that you are right or proving that someone is wrong are bad reasons for persisting. No one can control the outcome of a contest or competition, but you can control how you prepare for it. Sweat the right small stuff, don’t obsess over little things as a form of procrastination. Don’t mistake activity for action. Don’t let the magnitude of the challenge take you away from the incremental steps necessary to effect change. Continue to be detail oriented. Deal with your immediate superior( s) on a one-to-one, ongoing basis.